Every home owner has a list of handyman, home repair, or home improvement projects he or she needs done — both interior and exterior. Sometimes that list can get quite long, too! The bathrooms that needs updating. The garbage disposal that’s on the fritz. The basement that needs drywall repairs. But with today’s busy lifestyles, who has the time or the patience to do it all yourself? Let Handyman Matters help your home run more smoothly with a wide range of affordable repair, improvement and remodel services. Ezwayhomeservices is committed to bring professionalism, trust and excellent services to your home and business at affordable price. We take pride in providing these services to you in fast and efficient manner without any hassle. We saw people gone through rough time to find right person to do there home improvement work like fencing, flooring, plumbing and so on. 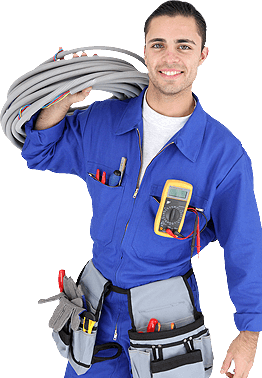 I have struggled myself from these type of situations where I felt the need for one platform to find all home maintenance services in one place.This platform is launched to link business to customers and vice versa.